In the wedding floral designer world, blush has been the status quo for bloom color requests from many a bride. 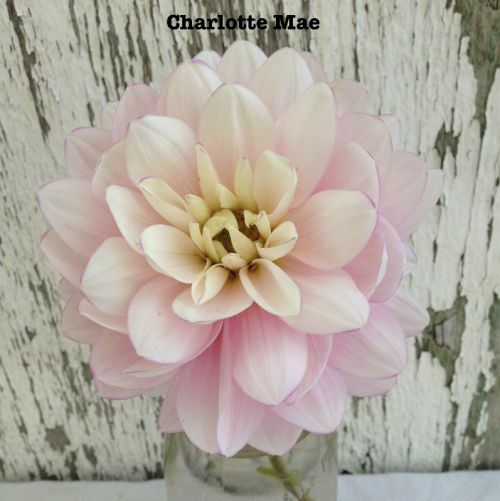 Charlotte Mae may not be the buzz word like Cafe Au Lait but I maintain her subtlety is sublime and a joy to work with from table arrangements to bridal bouquets! The informal decorative 4" bloom starts creamy white slightly outlined in lavender and moves gently into a soft pale pink . Loads of blooms all summer long !